The others aboard the train seemed unaffected by the jostling, and Sean seemed comforted by that. “I expect they haven’t, Boss,” Sean laughed. “Joey LIKES ‘given’ us his culinary-creations!” Debra punned. There was a pun-inspired groan in response. 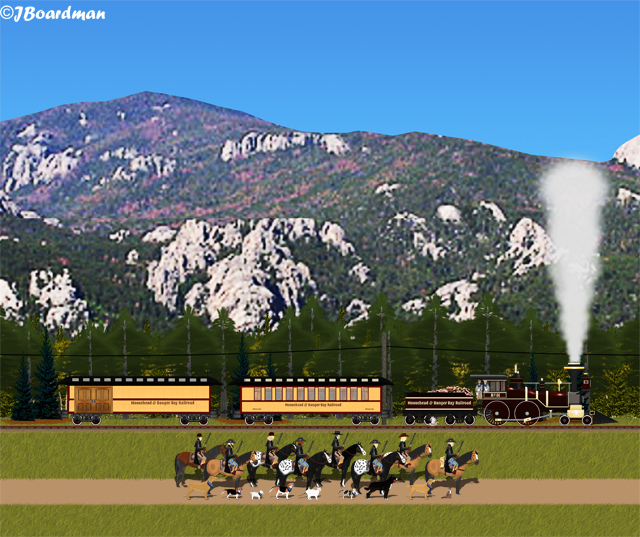 Season 17—Adventure 6—The Search—Episode 5—Scene 1… Just outside of Deadwood… The Adventure Train slowed to a stop—and all the humans and critters (sentient horses, critters, both alive and ghost, and of COURSE, Flutters) exited the train to the nearby road. “Round ‘em up—Head ‘em out!” Chris Earp exclaimed. “RAWHIDE,” Big-Mac added—to everyone’s surprise. “Yes, sadly, you said that,” Boomer replied. “Do I LOOK like Guy Madison?” Hickok replied. 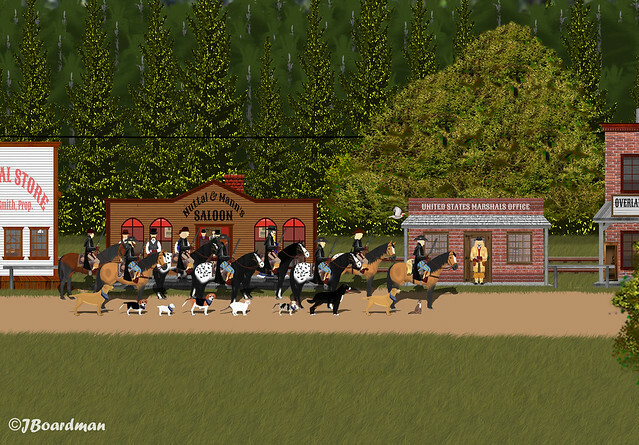 Episode 5—Scene 3… Two weeks later in Deadwood, Dakota Territory… Colonel Bell’s Train (finally) arrived in Deadwood—they’d had a couple of (Beagamute-assisted) breakdowns along the way. Bell and company went directly to the to the Nuttal & Mann’s saloon as their rough journey had raised a powerful thirst—that could only be cured by several jiggers of rot-gut whisky. Of COURSE, they were observed (and overheard) by a ghost critter or two. Of COURSE, the ghost critters quickly reported their presence to the posse. Of COURSE, Bell began recruiting hired-guns from among the saloon’s customers. Just a little bit of a Curmudgeon. 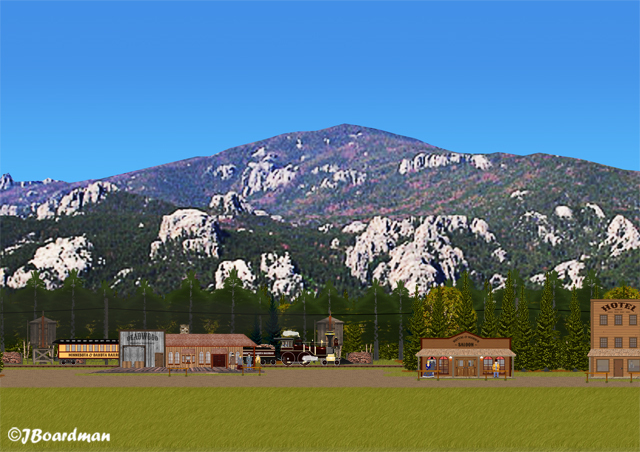 This entry was posted in Boomer’s Blogging HQ, Danger Bay Stories, Pioneer Danger Bay Stories, Season 17, Season 17—Adventure 6—The Search and tagged Computer Art, Fiction, Minnesota, Moosehead County, Photoshop Art, Pioneer Danger Bay, Serial Melodrama. Bookmark the permalink. 2 Responses to Of COURSE! Oh boy does Bell have a surprise coming! I just love it!